The Gaithersburg nursing home abuse attorneys of Nursing Home Law Center LLC specialize in representing clients who have been injured due to neglectful or abusive nursing care. Over the last decade, we have seen an alarming rise in the number of injuries that have resulted from a substandard quality of care. One of the ways to combat this is to hold negligent nursing centers accountable for their actions, but we can also prevent future cases of abuse by educating others on common nursing concerns and steering them away from centers that don’t provide the care our loved ones deserve. The information below is meant to help you avoid placing your loved one in such facilities. Medicare regularly collects information on every nursing facility in Gaithersburg based on data gathered through inspections, surveys and investigations. The patient-protecting agency found serious violations and deficiencies at sixteen (22%) of the seventy-four Gaithersburg nursing homes that led to residents being harmed. If your loved one was injured, mistreated, abused or died unexpectedly from neglect while living at a nursing home in Maryland, your family has rights to seek compensation. We encourage you to contact the Gaithersburg nursing home abuse attorneys at Nursing Home Law Center (800-926-7565) today. Schedule a free case evaluation and let us discuss your legal options for obtaining monetary recovery through a lawsuit or compensation claim. The city of Gaithersburg is split into two distinct sections on the east and west side of I-270 and is home to many research and biotechnology companies that comprise the Interstate 270 Technology Corridor. These companies include Lockheed Martin, IBM, MedImmune and the National Institute of Standards and Technology. The city has seen explosive growth in recent years due to its ties to such prominent companies. Its population rose from just under 60,000 to almost 67,000 over only four years. Roughly 9.5% of the population is made up of senior citizens and many more residents are preparing to retire. Those who are looking to remain active, healthy and social can turn to the Benjamin Gaither Center, which provides support groups, computer classes, sports programs, a book club, strength training, flexibility training, ballroom dances, poker games, a billiards hall and more for a nominal annual fee of $40. Seniors can also participate in regular blood pressure screenings and receive attention from an on-site nurse to ensure that their health is in good order. For more information, you can visit http://www.gaithersburgmd.gov/services/senior-services. Our Gaithersburg nursing home injury lawyers have gathered information provided by Medicare about the nursing facilities that serve your area so that you are aware of the most common concerns among facilities in the area. We also hope that this information allows you to avoid placing your loved one in a nursing home that has a history of providing abusive or neglectful treatment. If you would like more specific information about any of the facilities we have listed or information on a center not on the list, you can use the nursing home compare tool provided by Medicare at https://www.medicare.gov/nursinghomecompare. Primary concerns: Nonprofit corporations tend to receive higher scores than their for profit counterparts because they are able to hire and maintain larger staffs and provide training and resources that will allow staff members to tend to the needs of every patient. This facility has received a five star staff quality rating. Its only detractor is that it has a checkered health inspection history, meaning that it needs to improve its sanitation measures to ensure patients do not develop and spread infection. Primary concerns: This facility is one of the lowest rated centers on our list and has received a mere star for its health inspection history. Poor sanitation and hygienic measures can facilitate the spread of disease and environmental hazards can cause physical injuries in the form of slips, trips and falls. Primary concerns: Understaffing, poor quality measures and a poor health inspection history are all concerns for this facility. 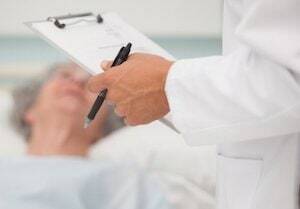 Until these concerns are addressed, it may be better to avoid this one and if your loved one is already being treated here, you will want to pay great attention to how he or she is being cared for. Primary concerns: An abysmal health inspection record is the primary reason this facility has received a two star rating. Its staff quality and quality measures have received excellent scores, but significant adjustments need to be made to the measures taken to control the spread of disease and provide an environment free of hazards. Primary concerns: Despite perfect quality measures and staff ratings, this facility has received a two star rating overall. This is due to a one star health inspection rating stemming from numerous serious health inspection deficiencies. In addition to providing award winning legal services, Nursing Home Law Center LLC can help you find a nursing center that is best suited to your loved ones’ needs and assist you in the transition from a poor facility into one that will provide the high quality care every patient deserves. Our Gaithersburg nursing home injury lawyers believe that every patient should have the right to be treated with dignity and respect and will do whatever it takes to help your loved one move forward following his or her injuries. If you suspect that your loved one is the victim of neglect or abuse, contact our Gaithersburg nursing home abuse attorneys today to arrange a free consultation. We will gather all of the information we need to investigate the circumstances of your case and can answer any questions that you have about your rights and legal options. Our lawyers work solely on a contingency fee basis, so you will never be required to pay a fee upfront and are assured that we will never accept payment unless we are able to secure damages on your behalf. For additional information on Maryland laws and information on nursing homes look here.